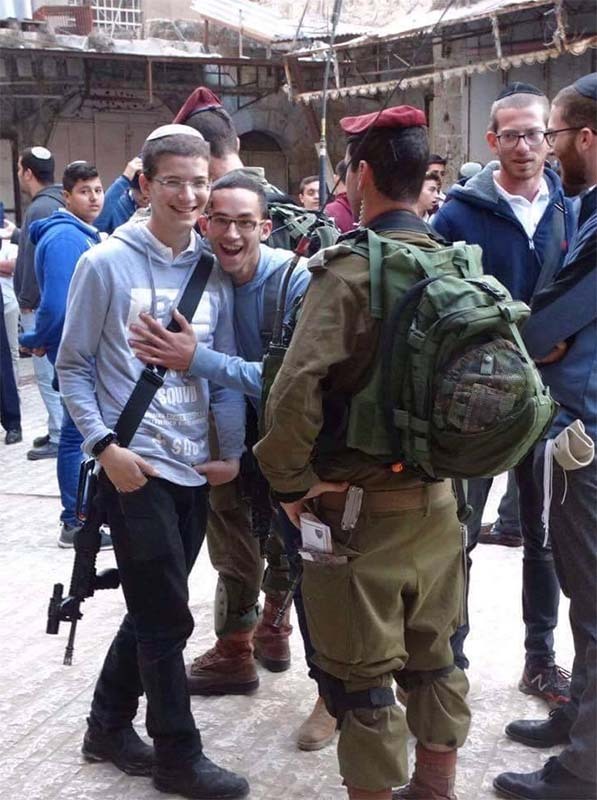 On 31 August the Israeli Military Central Command issued an order giving official status to the Hebron municipal committee, which represents Jewish-Israeli colonizers living inside the city of Hebron, in occupied West Bank. This move was announced by Israeli Defense Minister Avigdor Liberman on 29 August during a press briefing. The action, at the very least violates both the Oslo Accords and the 1997 Hebron Protocol, but more importantly, is a grave breach of international humanitarian law that would amount to de jure annexation of occupied territory. The new military order transfers responsibility for colonizer infrastructure needs, such as electricity, sewage networks and road paving, from the Palestinian-run municipality to the colonizer local council, which falls under the jurisdiction of the Israeli Ministry of Interior. Infrastructure issues beyond the control of colonizers but affecting colonizers will continue under the control of the Palestinian municipality, however, the military order establishes that if the Palestinian municipality does not act ‘within a reasonable timeframe’ then the local council can intervene following approval of the Israeli Civil Administration. This abstract phrasing concedes considerable power to the colonizer local council to affect not only colonies but also other infrastructure, including in Palestinian areas. The granting of official status to the local council is not a first in occupied West Bank, but it places the Hebron colonizer community on par with other colonies throughout the West Bank that have their own local and regional municipal councils, and equates the colonizer council with councils inside Israel as well. The 1995 Oslo Accord established that, “The municipality of Hebron will continue to provide all municipal services to all parts of the city of Hebron.” This provision is reaffirmed by Article 16 of the 1997 Hebron Protocol, which regulates the situation inside Hebron. The Protocol, signed by the Palestine Liberation Organization (PLO) and Israel, divided the city into two parts: H1 comprising around 80 percent of the city and under full control of the Palestinian Authority (PA), and H2, comprising around 20 percent, under the control of Israel. In H2, the PA was given control over civil affairs, except for those relating to Israeli colonizers and their property. Hence, the transfer of responsibility of municipal services to the colonizer local council is, in breach of both the Oslo Accords and the Hebron Protocol. Moreover, the illegality of any colonies in occupied West Bank, including the city of Hebron, must be emphasized, as it constitutes a violation of Article 49 and a grave breach of the Fourth Geneva Convention. The transfer of civilians by the occupying power into occupied territory can also amount to a war crime. The Israeli Defense Minister Liberman, one of the main officials behind the military order, stated during the announcement of the establishment of the local colonizer council that he is “determined to continue to promote settlement [in occupied territory] so that it will flourish and thrive.” Meanwhile, the Deputy Defense Minister, Eli Dahan, said that giving municipal status to the colonizer community in Hebron is “another important step in normalizing the lives of the Jews in Hebron, in particular, and in all of Judea and Samaria [Israeli name for the West Bank], in general.” These statements illustrate a clear intention by the Israeli government to support colonies; statements that have been validated by Israeli government actions regardless of the fact that they violate international law prohibitions. The creation of local and regional municipal councils in colonies and their placement under the jurisdiction of the Israeli Ministry of Interior constitute an extension of Israeli sovereignty into occupied territory. International law clearly establishes that occupied territory must be administered by a military commander, and the occupying power cannot under any circumstances extend its sovereignty. In this context, changing of sovereignty by illegal extension would constitute a move towards de jure annexation. 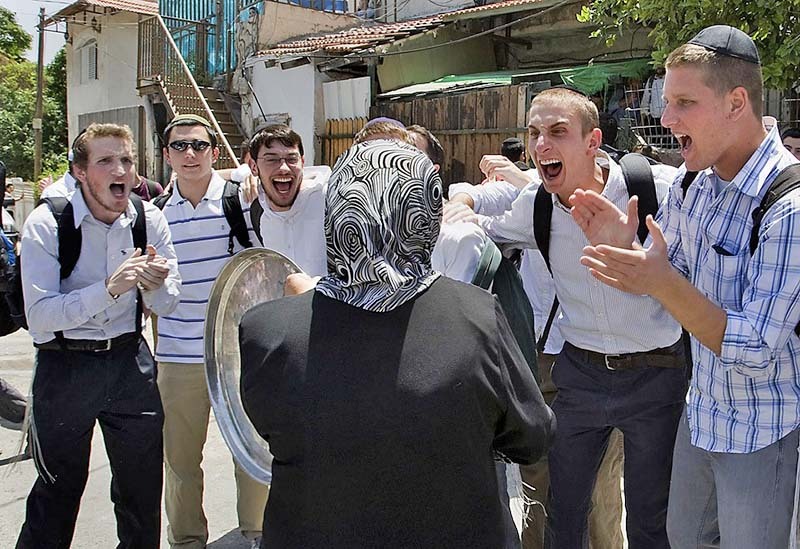 The local council in Hebron will respond to its constituents, in this case the colonizer community. In other words, the council is likely to use the newly acquired powers to promote plans and projects aiming at solidifying and increasing colonizer presence in the occupied city. This will not only result in an increase in the number of colonizers, but also in the intensification of the coercive environment suffered by Palestinian residents of H2. The presence of colonizers is often accompanied by violence against Palestinians, increased military presence, more checkpoints and restrictions in movement, and segregation and discrimination. Such conditions constitute a powerful trigger pressuring Palestinians out of the area. Israeli policies of forcible transfer, including the promotion of colonizer presence, have resulted in a sharp decrease in Palestinian population in H2. Forcible transfer of Palestinians is a grave breach of the Fourth Geneva Convention, and amounts to a war crime. When the extension of sovereignty, the creation of permanent institutions and facts on the ground, statements by Israeli officials, and the forcible transfer of Palestinians are combined; a situation of annexation has taken place, an intention to annex occupied territory becomes apparent. The prohibition of the acquisition of territory by force, also referred to as annexation, is a well-established provision and its violation constitutes one of the most serious breaches in international law. The aforementioned Israeli policies also amount to the crime of colonization, which is in direct contravention of the inalienable right of the Palestinian people to self-determination, which is enshrined in multiple UN resolutions. This decision to give official municipal standing to the colonizer local council in Hebron should be met with immediate action at official and popular levels, aimed at reverting the situation in the H2 area of Hebron, and more generally, at denouncing the ongoing Israeli policies of annexation and colonization. These crimes trigger third-state responsibility to put an end to such policies. 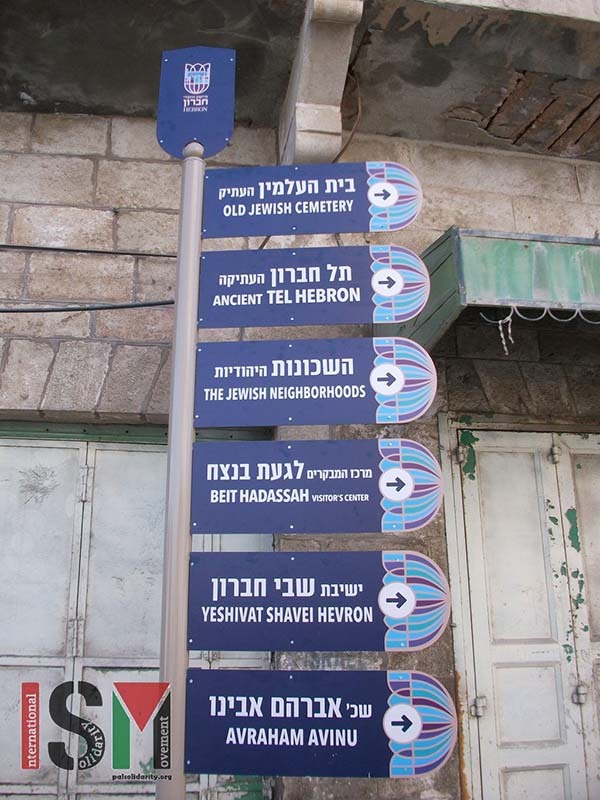 Finally, the Old City of Hebron, included in the H2 area, was recently declared a UNESCO world heritage site. This recognition placed Hebron in UNESCO’s ‘in danger’ list, which should afford the historic city a measure of additional protection. This recognition should not be reduced to a purely symbolic act, but rather, serve as an additional measure to hold Israel accountable to adhere to international law. Tovah Lazaroff, “IDF Order Gives Hebron's Jewish Community Independent Municipal Standing,” Jerusalem Post, 1 September 2017, available at: http://www.jpost.com/Israel-News/IDF-order-gives-Hebrons-Jewish-community-independent-municipal-standing-503979 [accessed 6 September 2017]. Jacob Magid, “Army gives Hebron settlers new municipal powers,” The Times of Israel, 31 August 2017, available at: https://www.timesofisrael.com/army-gives-hebron-settlers-new-municipal-powers/ [accessed 6 September 2017][hereinafter Magid, “New municipals powers”] . Peace Now, “Updates on Developments in Hebron,” 4 September 2017, available at: http://peacenow.org.il/en/updates-developments-hebron [accessed 6 September 2017]. Israeli-Palestinian Interim Agreement on the West Bank and the Gaza Strip (Oslo II), Annex I: Protocol Concerning Redeployment and Security Arrangements, art. VII, para. 5, 28 September 1995, available at: http://www.mfa.gov.il/MFA/ForeignPolicy/Peace/Guide/Pages/THE%20ISRAELI-PALESTINIAN%20INTERIM%20AGREEMENT%20-%20Annex%20I.aspx#article7 [accessed 6 September 2017]. Protocol Concerning the Redeployment in Hebron, PLO-Isr., Article 10(b), 17 January 1997, available at: http://www.mfa.gov.il/mfa/foreignpolicy/peace/guide/pages/protocol%20concerning%20the%20redeployment%20in%20hebron.aspx [accessed 6 September 2017]. Magid, "New municipals powers," supra note 3. Tovah Lazaroff, “Hebron’s Jewish Community Receives Separate Municipal Standing,” Jerusalem Post, 29 August 2017, available at: http://www.jpost.com/Israel-News/Israel-declares-Hebron-an-official-Jewish-settlement-503705 [accessed 6 September 2017]. Jean S. Pictet, ed., Commentary on Geneva Convention (IV) Relative to the Protection of Civilian Persons in Time of War (Geneva: International Committee Of The Red Cross, 1958), 273. UN Security Council, Resolution 478, 20 August 1980, available at: https://unispal.un.org/DPA/DPR/unispal.nsf/0/DDE590C6FF232007852560DF0065FDDB SCR 478 of 1980; Eyal Benvenisti, The International Law of Occupation (Princeton University Press,1993), 5-6. UN General Assembly [hereinafter UNGA], International Covenant on Civil and Political Rights, 16 December 1966, United Nations, Treaty Series, vol. 999, art.1, available at: http://www.refworld.org/docid/3ae6b3aa0.html [accessed 6 September 2017]; UNGA, International Covenant on Economic, Social and Cultural Rights, 16 December 1966, United Nations, Treaty Series, vol. 999, art.1, available at: http://www.refworld.org/docid/3ae6b36c0.html [accessed 6 September 2017]; UNGA, Importance of the universal realization of the right of peoples to self-determination and of the speedy granting of independence to colonial countries and peoples for the effective guarantee and observance of human rights, 30 November 1973, A/RES/3070, available at: http://www.refworld.org/docid/3b00f1c630.html [accessed 6 September 2017]; UNGA Resolution A/RES/3246, 29 November 1974; UNGA Resolution A/RES/33/24, 29 November 1978; UNGA Resolution A/RES/34/44, 23 November 1979; UNGA Resolution A/RES/35/35, 14 November 1980; and, UNGA Resolution A/RES/36/9, 28 October 1981. Peter Beaumont, “Unesco makes Hebron old city Palestinian world heritage site,” The Guardian, 7 July 2017, available at: https://www.theguardian.com/world/2017/jul/07/unesco-recognises-hebron-as-palestinian-world-heritage-site [accessed 6 September 2017].